As 2009 comes to a close – here are some stats that I pulled from the Baldwin County MLS for Daphne, Alabama. These numbers are as of this posting on December 30, 2009. There have been 408 closed sales recorded in the MLS for single family dwellings in 2009 in Daphne; 213 we under $200K (52%), 116 were from $200K – $299K (28%), and 58 were over $300K (14%). We have 55 listings currently pending. For comparison, in 2008 Daphne had 411 closed sales broken down with 43% under $200K, 33% in the $200k’s and 19% over $300K. The last quarter of 2009 has had 98 total sales broken down by 59% under $200K, 23% from $200-$299K and 13% over $300K. It’s hard to say what all of this means – but it looks as if Daphne home sales where on par with 2008. Trending toward higher prices until the 4th quarter where we’ve seen the prices fall a bit. That being said, there are a lot of pending sales out there, so people are buying! Stay optimistic and we’ll get through this recession yet. Fairhope, Alabama – Is It As Great As Everyone Says? Fairhope, Alabama is a quaint, quiet bedroom community of Mobile on the Eastern Shore of Mobile Bay. Originally established as a single tax colony, Fairhope has always drawn artists and other free-spirited folks to it’s shores. 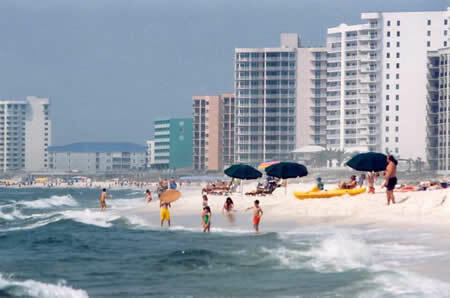 While it is geographically located along the Alabama coast, it has the most drastic coastal elevation from Mexico to Maine – providing unique protection from storm surges associated with major hurricanes. Great schools, low crime and the natural beauty surrounding this town are among the many reasons it ranks highly among retirees and young families alike. If you’ve not been to Fairhope, you owe it to yourself to take a trip down. You may find that, like a lot of folks, in two months or twenty years, you end up back in Fairhope to make it your home. Most of us in Real Estate are glad to see 2009 almost in the rear view mirror. Although the year was pretty rough on most of us, I, along with many of my colleagues, have sensed an increased optimism over the past few months. I did a little research from our MLS for Fairhope, and just thought I’d share it with you all. As of this blog posting, the Baldwin County MLS showed 264 residential single family dwellings closed for the city of Fairhope , Alabama for 2009 (31 currently pending); of those 76 (29%) were over $300K. For comparison, 2008 had 294 closed sales with 115 (39%)over $300K and 2007 had 402 closed sales with 171 (42.5%) over $300K. The encouraging numbers for 2009 are the past several week’s activity. From January through September we had 207 closed sales with 61 (30%) over $300K; October had 24 sales with only 3 over $300K (12.5%); November had 19 sales with 4 (21%) over $300K; to date, December has had 14 closed sales with 8 (57%) over $300K. Again, we have 31 pending contracts with 30% of thoses listed above $300K. So it seems that there is some pent-up demand for the higher end that is finally coming out. It gives me optimism for that part of the market for 2009. Let’s face it, a lot of folks have put 2009 behind them at this point and are, rightfully so, enjoying the holidays with their families and friends. In the meanwhile, if we’re paying attention, we can grab some fantastic deals for our clients. I don’t know about other markets, but here in Baldwin County, AL – specifically at the beaches of Gulf Shores and Orange Beach – we have established prices within each complex and/or neighborhood at which properties will sell in days – not weeks or months. We literally have hours to get an offer in on an outstanding deal or it will be gone. One of those deals hit my desk this morning and I immediately made some calls and am working to get an offer in. I think we may have a better shot at it since many of my fellow brokers are either out of town or enjoying the season. We have to take opportunity where we can find it these days. I hope you find this new report interesting and useful. It is designed to provide a snapshot view of the residential housing market. Comments are always welcome. The average sales price in November declined 8.32 percent to $204,187 while the median sales price declined 1.52 percent to $168,900. Average sale prices in the North decreased 10.59 percent to $151,125, increased 0.12 percent in the Central area to $164,594, and increased 72.41 percent in the South to $283,432. Concurrently, sales rose by one to 18 in the North, increased to 146 in the Central area, and declined to 85 in the South. For the whole county, sales rose by 9 to 249. Average days on the market for the whole county fell to 176 from 206 in October. This same number for the North rose by one to 18, increased to 146 in the Central region, and declined in the South from 100 in October to 85 in November. The number of sales for September in the U.S. increased by 7.8 percent while the median sales price declined 6.5 percent to $174,900. The number of months required to sell the existing inventory declined significantly to 7.8. The National Association of Realtors recommends a 6 to 8 month range for a healthy market. How do Buyers Find Their Agents? How do Buyers Typically find their Real Estate agents? Just a few stats that I ran across that I found interesting. Doing a great job for your clients and getting their referrals for years down the road is still the best way to build our business. That’s what we strive for here at The Fairhope Realty Group. Looking to “Set the Bottom” on the Alabama Coast? For most of the vacation complexes along the Alabama Gulf Coast, the bottom seems to have been set in last summer – however, there are still cases where buyers can set new ones. The key to this is to have all of your ‘”ducks in a row” and be ready to make a quick offer when the complex of your choice produces an attractive price. The great thing about bottoms having ben set – with several sales above that number since – is that when a bank or individual get serious about moving their unit, it’s fairlu easy to determine the price at which it needs to be priced. Once priced corectly, properties have been moving in days – not weeks or months. So keep very close eye on the market and get your financing in order. Of course I’m always glad to help if I can. Hello friends from beautiful Fairhope, AL. I just thought I share some information with you on our area that I put together this week via our local board. As with a lot of markets in our region, and nation-wide for that matter, the lower end of our market has come back relatively strong int he past six months or so. Homes above $300,000, however, were fairly stagnant until last month. Closed sales in October and November of this year showed that 26% of the homes sold were over $300K; by contrast. currently 44% of homes pending and under contract are over $300K. As of December 4th, we had 544 homes for sale in Fairhope with 53% of those listed at over $300K. I have homes listed over and under $300K in this area and I’ve experienced more activity on the +$300K homes in the past 60 days than I had the 12 months prior. All of this leads me to believe that the pent-up demand for these properties is finally being released. I’ll report back next month to folow-up. 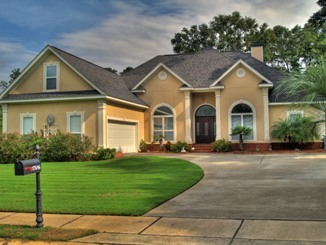 You are currently browsing the Fairhope Realty Group blog archives for December, 2009.